Just in time for the holidays, we’re pleased to introduce our new and improved wish lists in the Oliver + S shop. 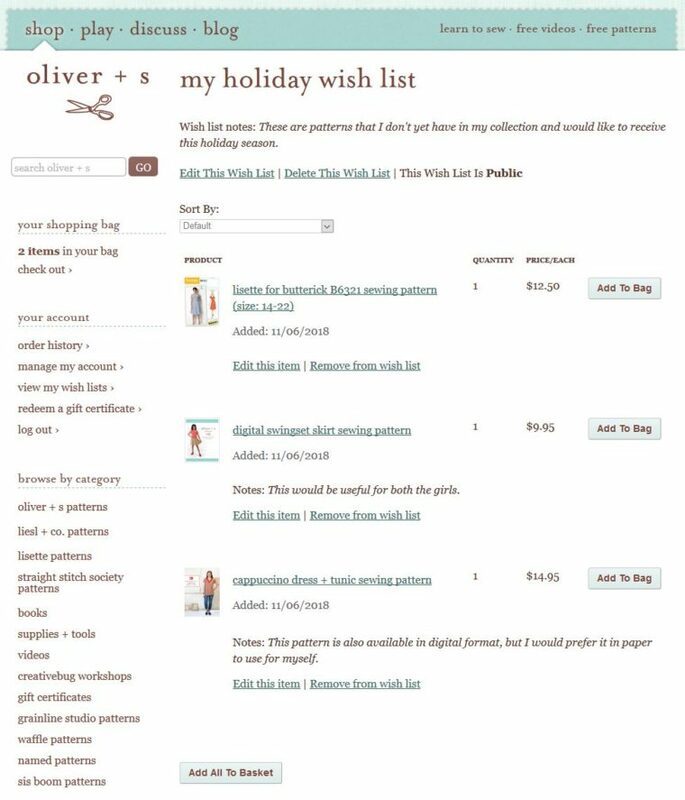 Perfect for making a list of the patterns and books you would like to give or those that you would like to receive, our new wish lists let you organize your items into separate lists. There’s no limit on how many different lists you can have–one for sewing for yourself and another for sewing for the kids, maybe? You can also keep notes on each list you have made and on all the items in each list. To begin creating your wish list, just click on the Add to Wish List button you see on any item in the shop. You’ll then be asked to log into your account or create one if you don’t have one. Once you’ve logged in, you can start managing your lists. Under the Your Account section of the left-hand navigation, you’ll see a link to “view my wish lists” once you’re logged in. When you view each of your wish lists, you can opt to keep it private or make it public so that you can share it with others who aren’t logged into your account. You can also add notes to each item on the list if you like. It’s also easy to move items between your wish list and your shopping bag. 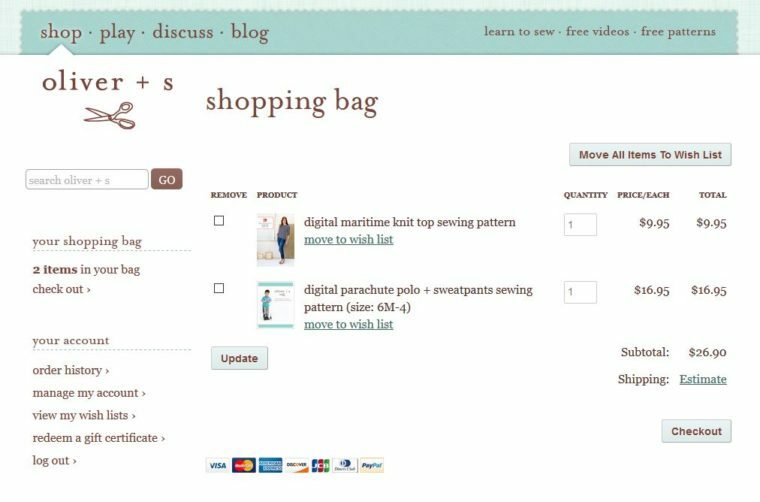 Just click the button or link to move the item, and it will jump back and forth between the list and the shopping bag. Easy and useful! At least we hope so. Give your new wish lists a try. Who knows, maybe something on your list will end up under the tree with your name on it next month.